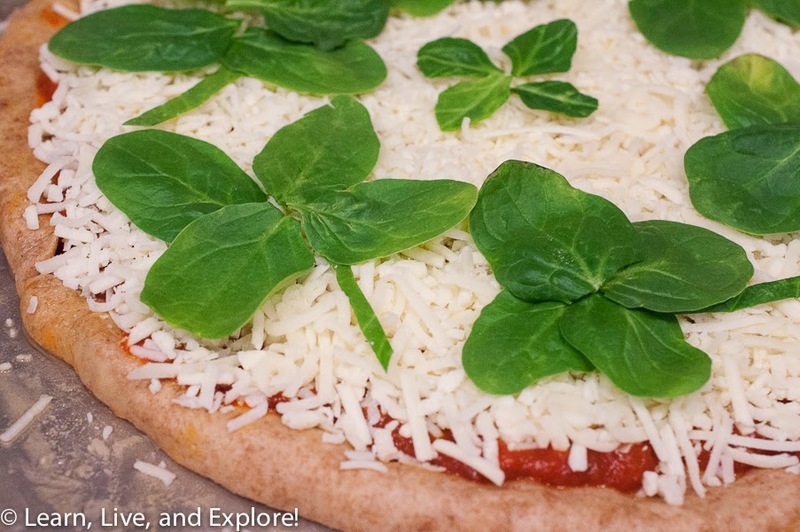 Shamrock Pizza ~ Learn, Live, and Explore! One last St. Patrick's Day themed goodie, and it's a simple one too. Have you ever thought of bringing the "luck o' the Irish" to a pizza? 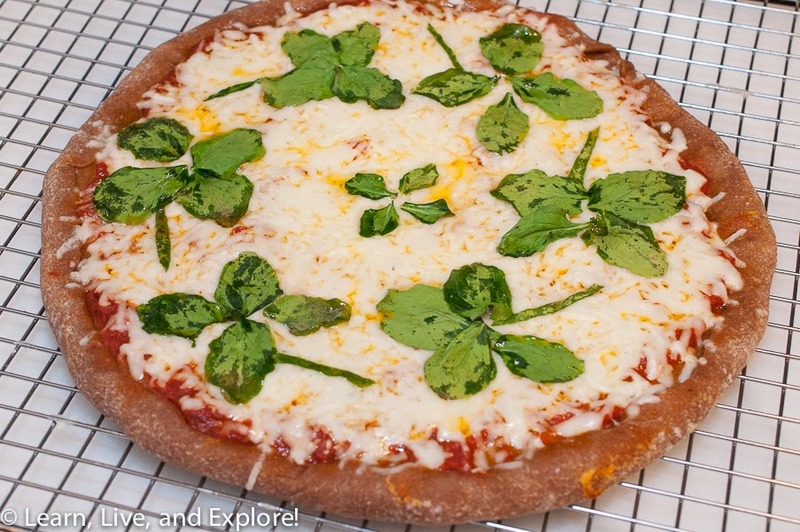 I saw this post from Skinny Mom, and knew immediately I wanted my own shamrock pizza. Hey, I'm part Irish and part Italian, so this basically a food version of me! 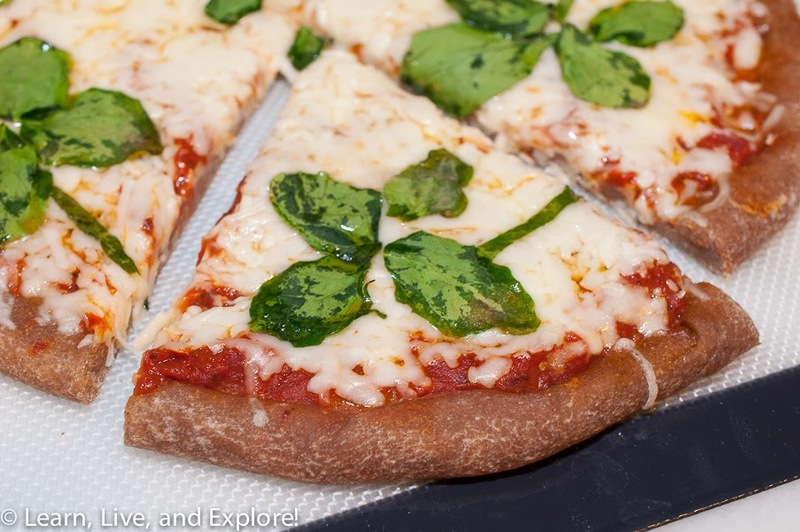 Like the Skinny Mom website promotes, I attempted to create a healthier version of pizza for St. Paddy (though the only thing healthier about this pizza is the whole wheat dough, and my taste buds were seriously disappointed by that choice, preferring regular pizza dough).